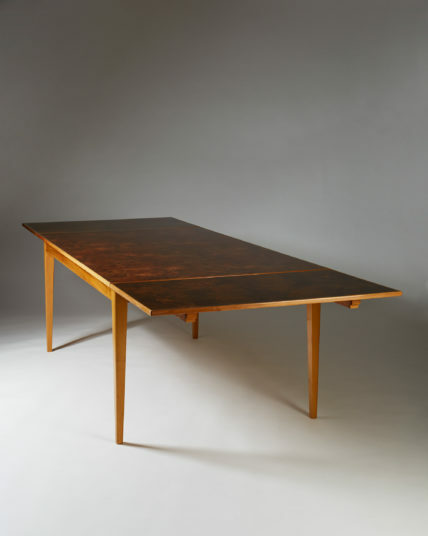 We are especially proud to present an exceptional desk by one of Finland’s most important architects in the early 1900’s, Jarl Eklund. 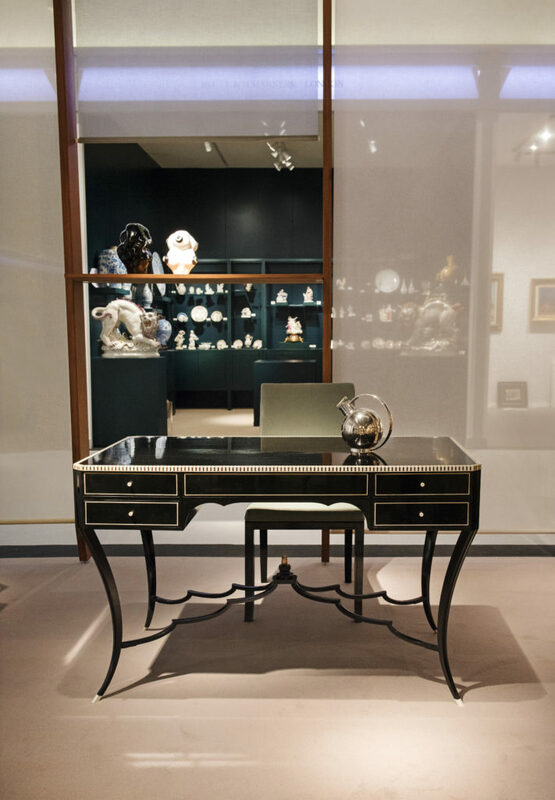 A beautifully executed piece in ebonized wood with exquisite details and secret drawers, made to order for a Swedish-Finnish family in 1924 by Boman. 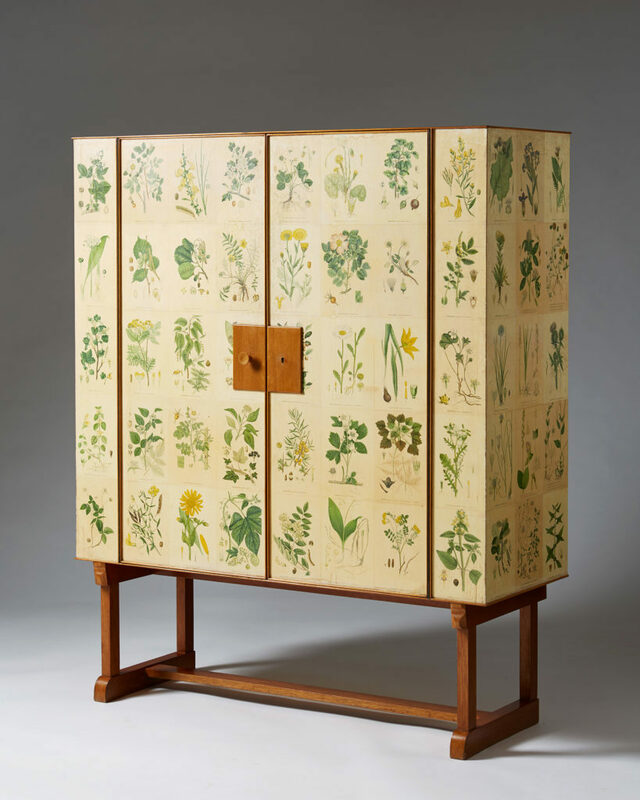 The center of our booth will honor one of Sweden’s most famous designers, Josef Frank. 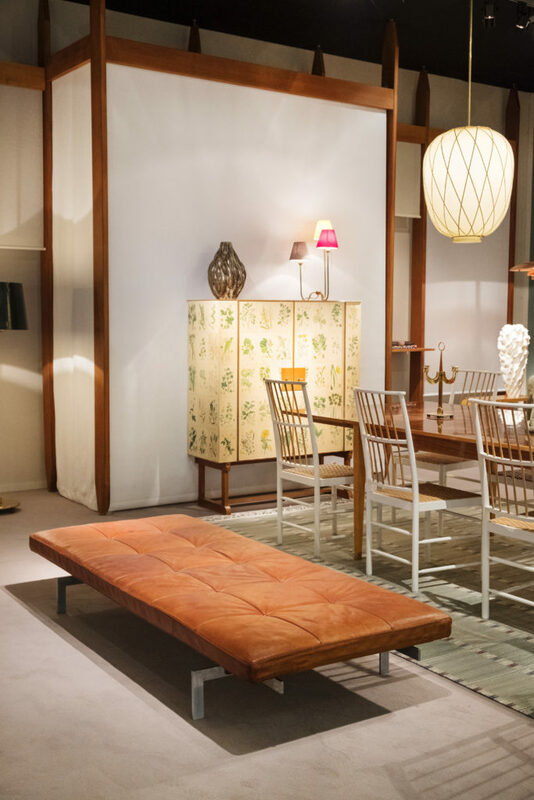 A beautiful example of his Flora cabinet, together with a dining table with a remarkable root veneer top, and a rare set of matching chairs. 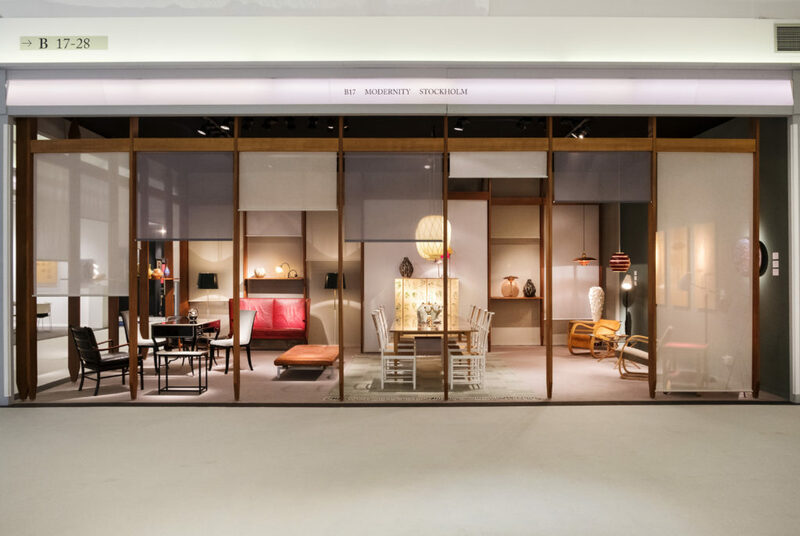 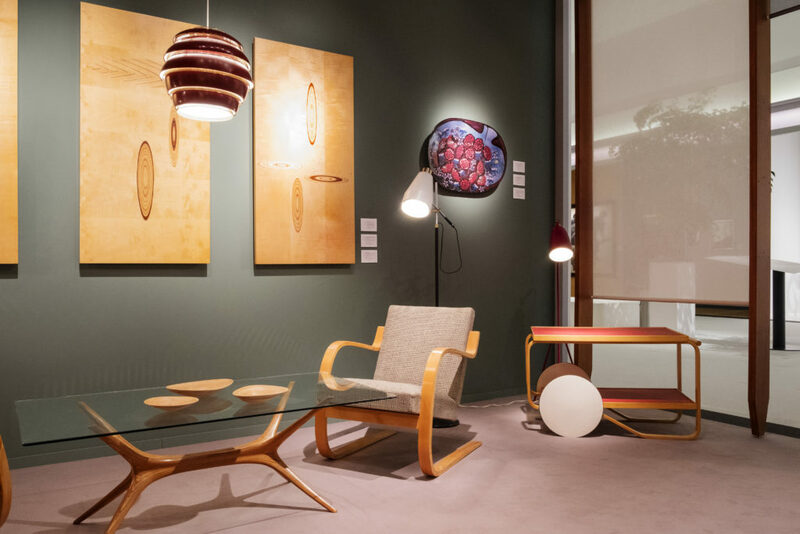 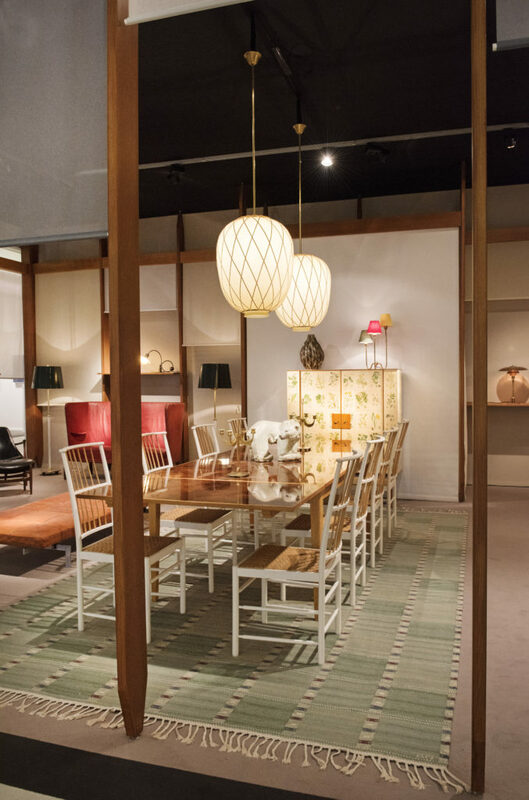 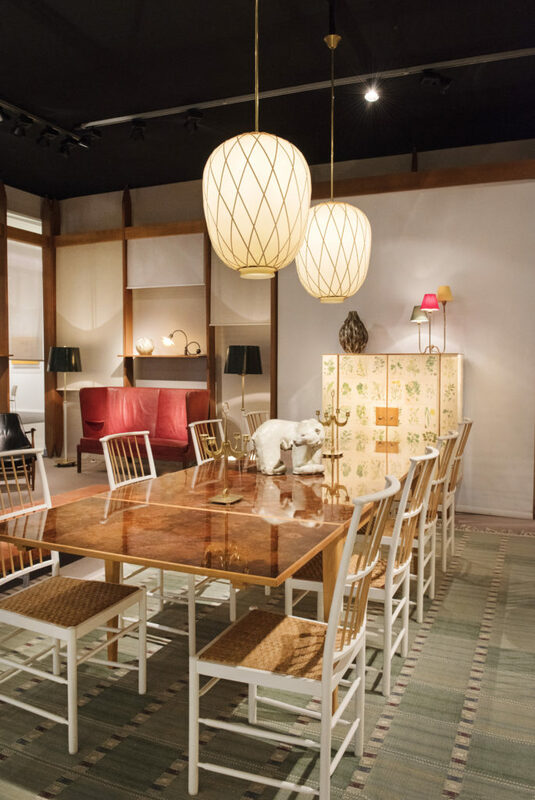 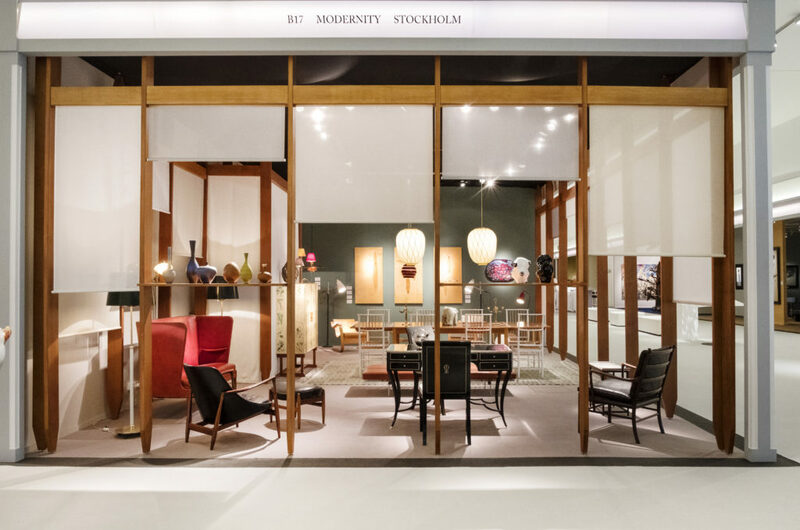 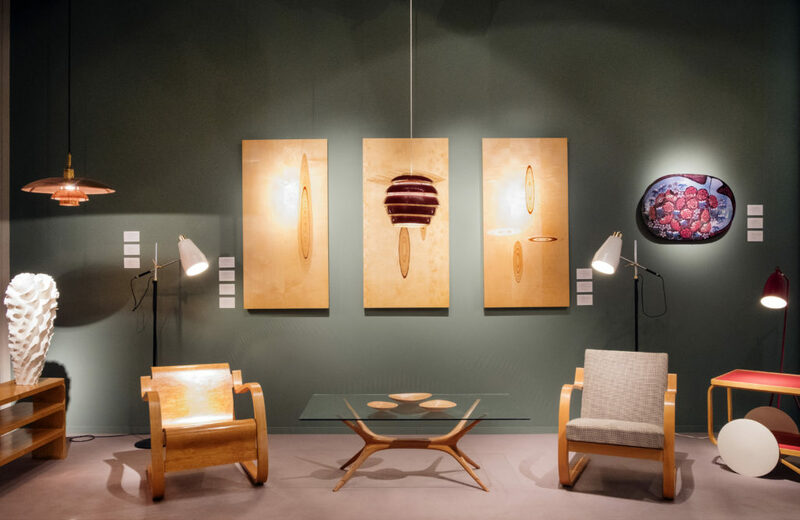 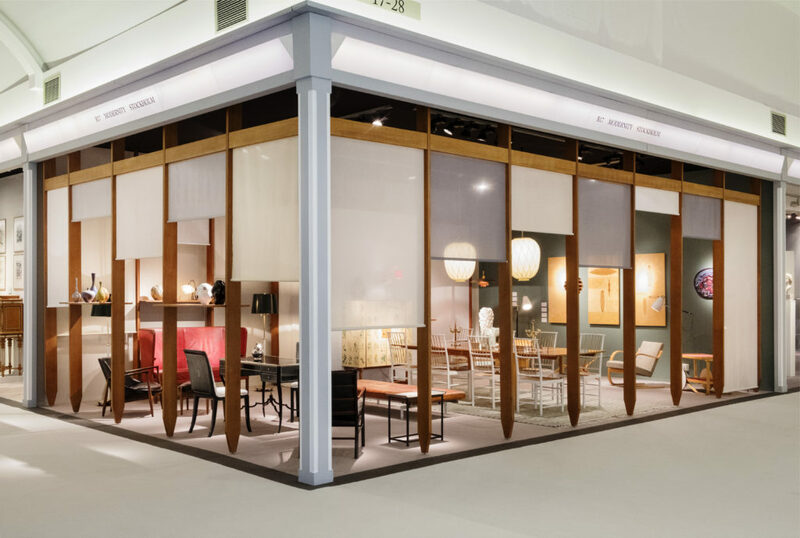 Some of Alvar Aalto’s most acclaimed designs will occupy the right side of our booth. 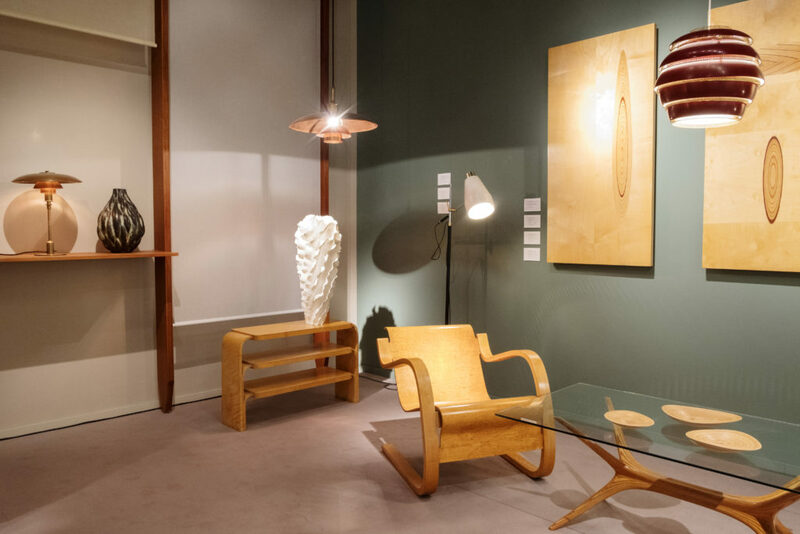 Most are early pieces such as a rare shelf designed in 1933, a tea trolley from 1936, a Karelian birch armchair from 1931, and a Paimio chair, all in stunning condition. 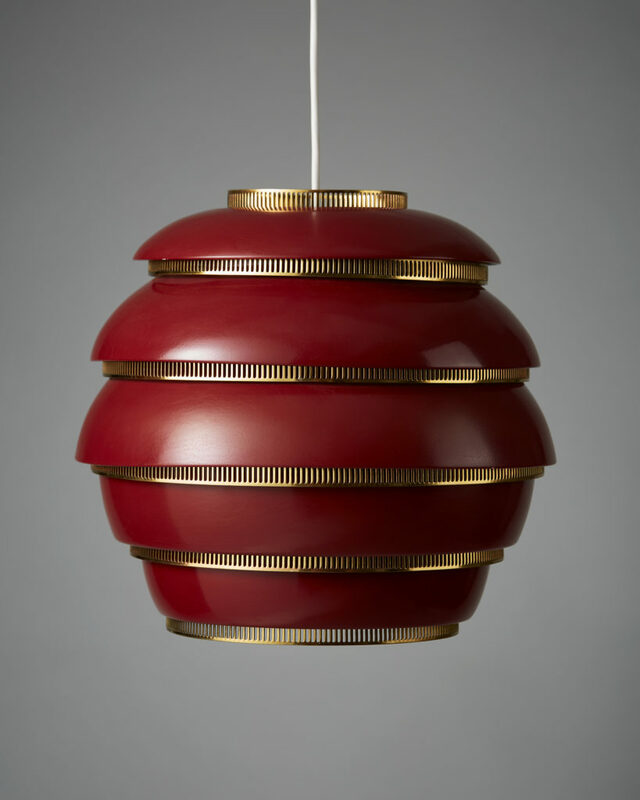 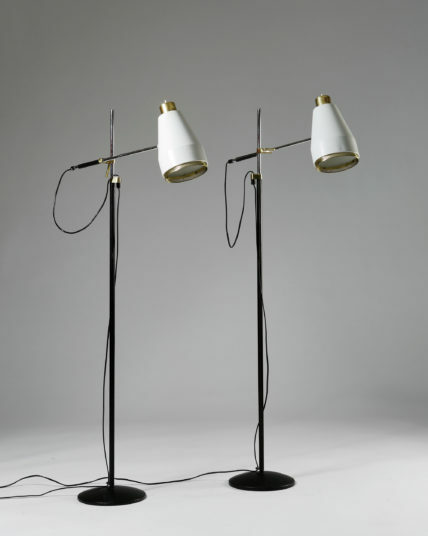 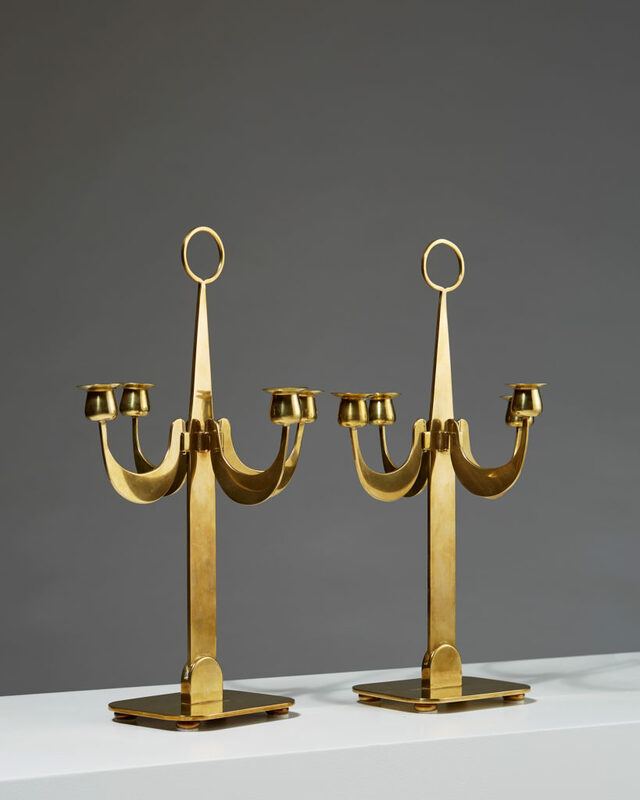 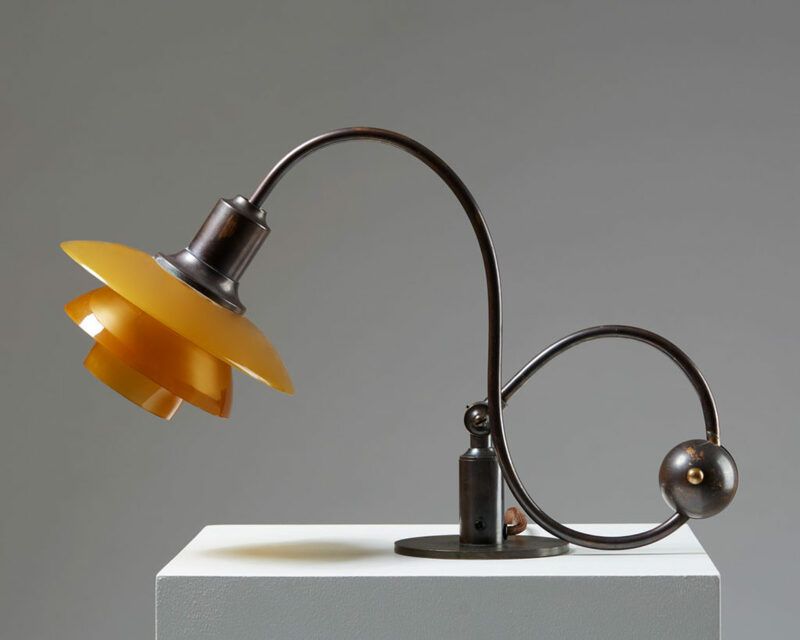 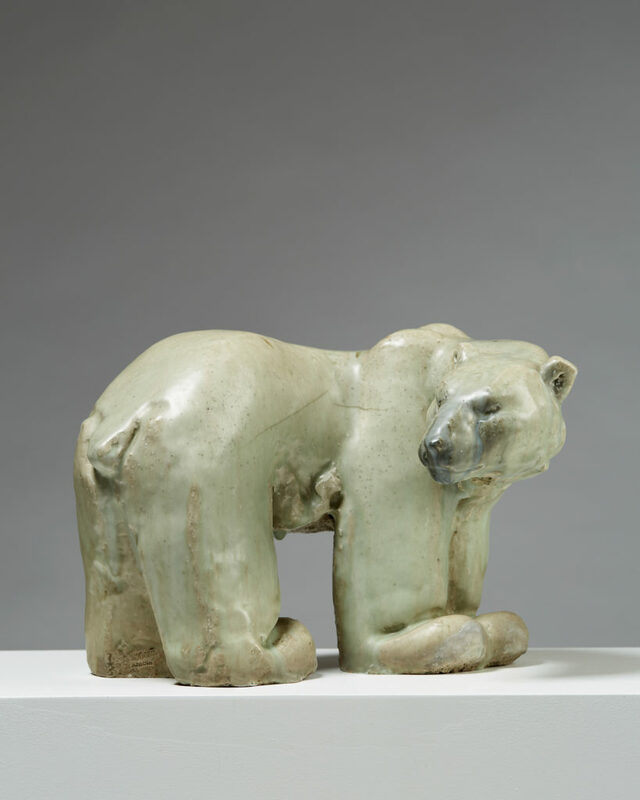 Modernity has over the years come to specialize on rare and remarkable lamps. 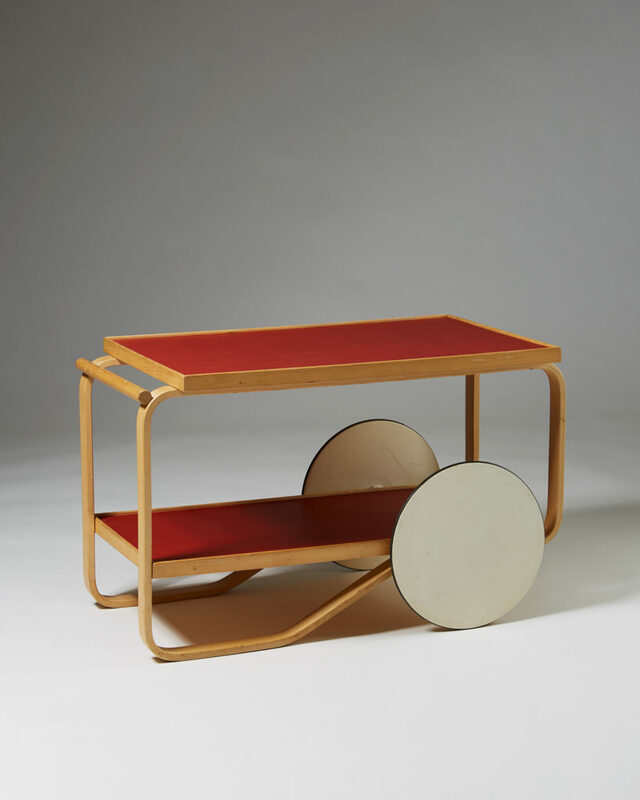 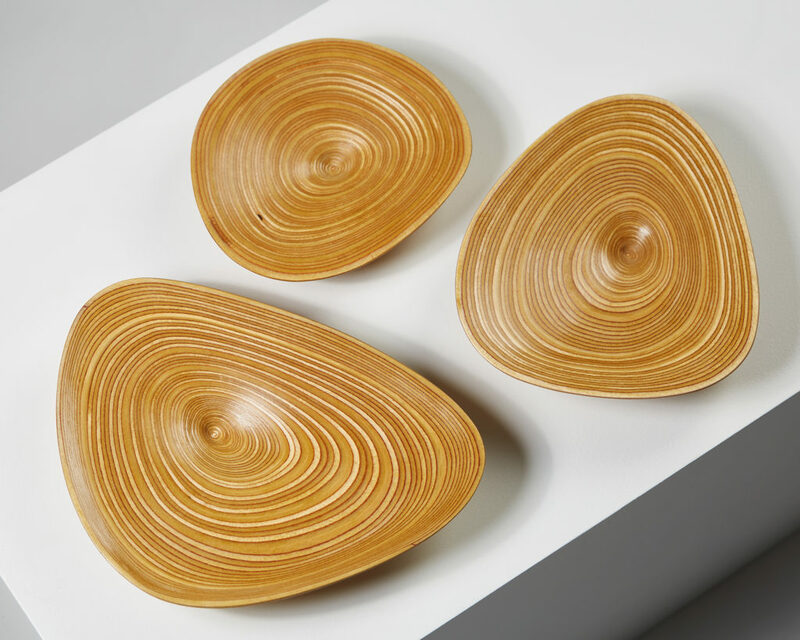 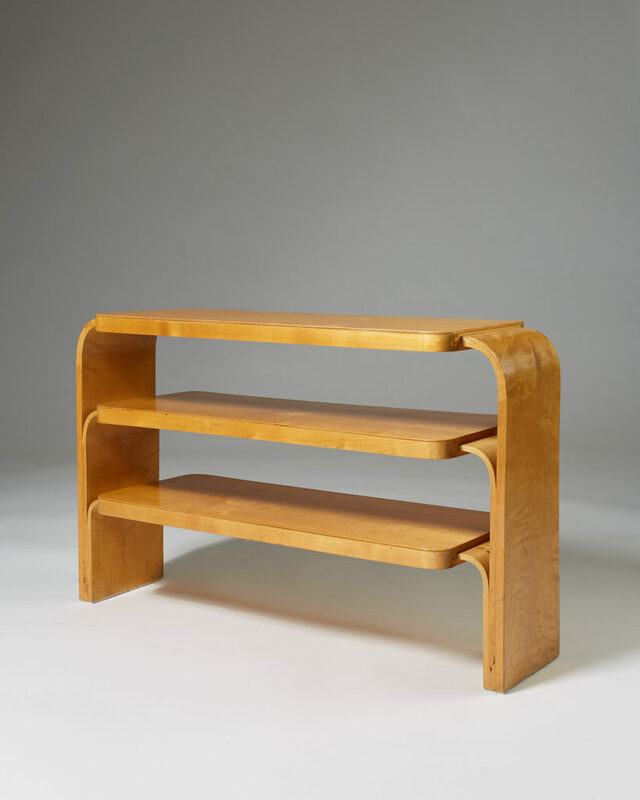 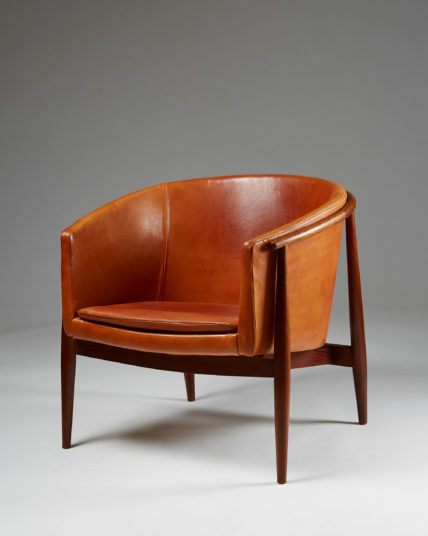 One Finnish designer will be honored on our stand this year: Alvar Aalto. 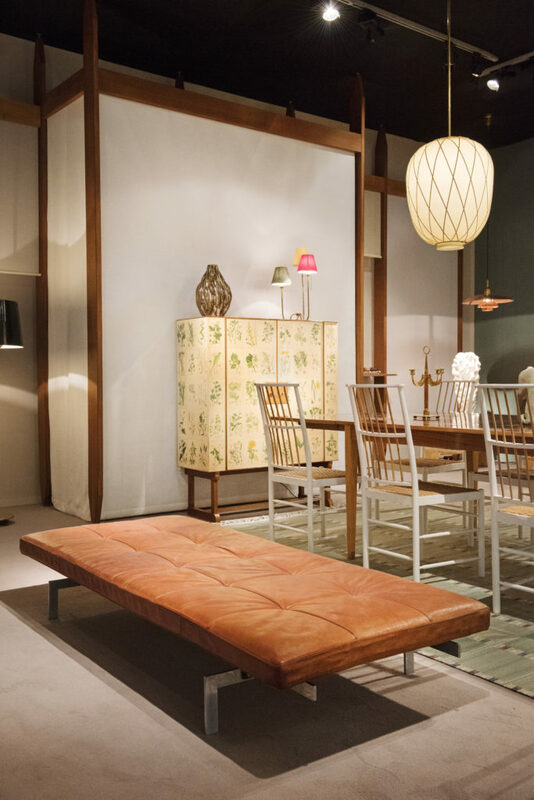 We sincerely hope you will be able to join us at the fair and look forward to seeing you there. 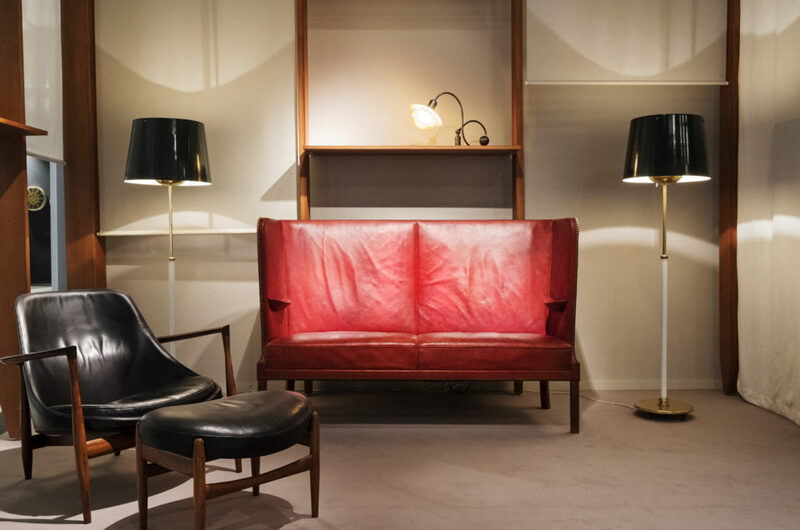 We are located on stand B17.